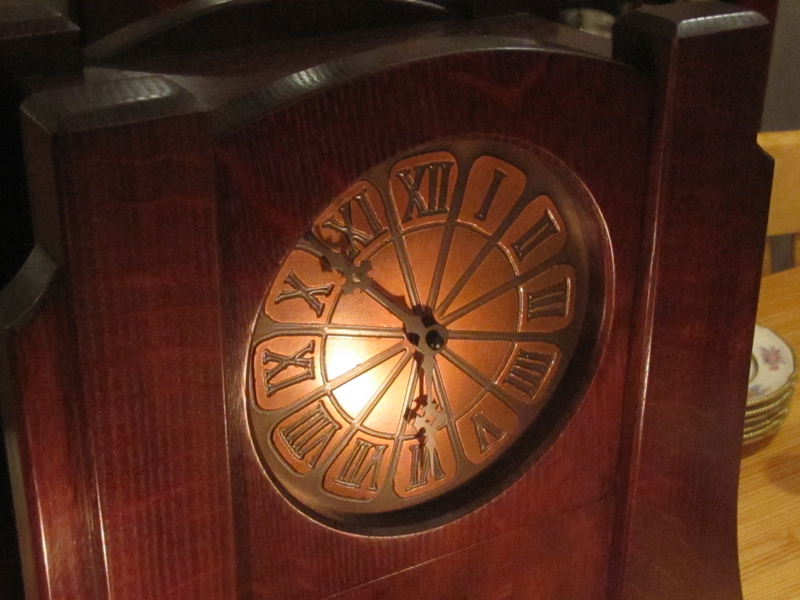 I have had many inquiries as to whether I can make copper faces for my clocks. 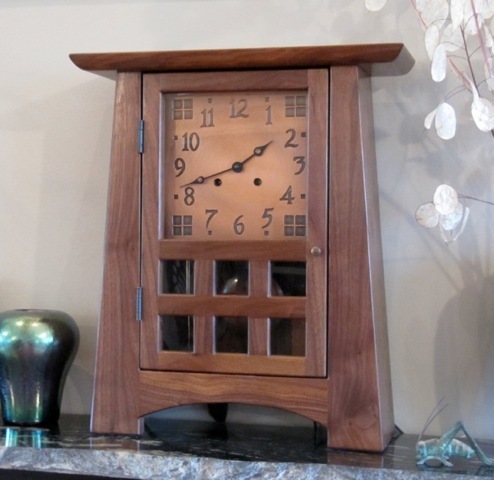 I am a woodworker, not a metalsmith so I asked James Mattson of James Mattson Coppercraft–who I met at last year’s Craftsman Exposition in Pasadena–if he’d be interested in making faces for me. 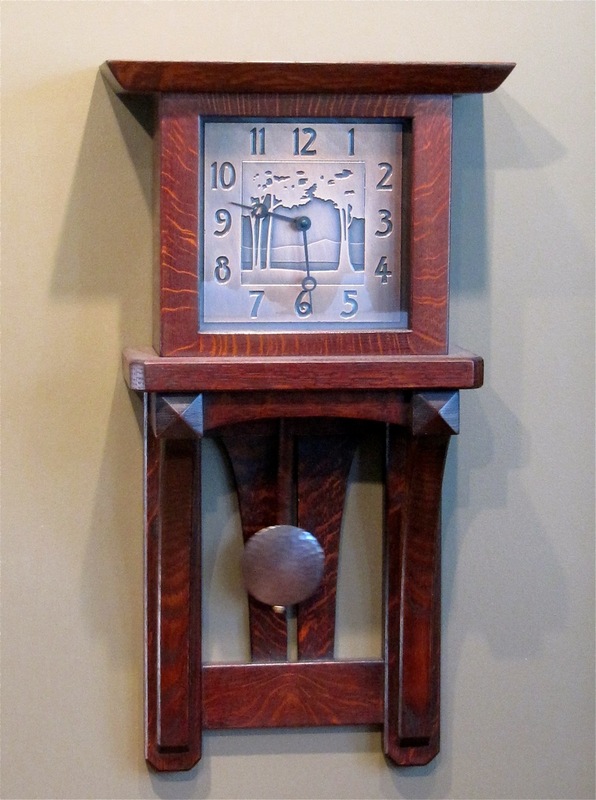 This is our first effort, a custom Arroyo Seco in Walnut with the German Hermle mechanical movement. 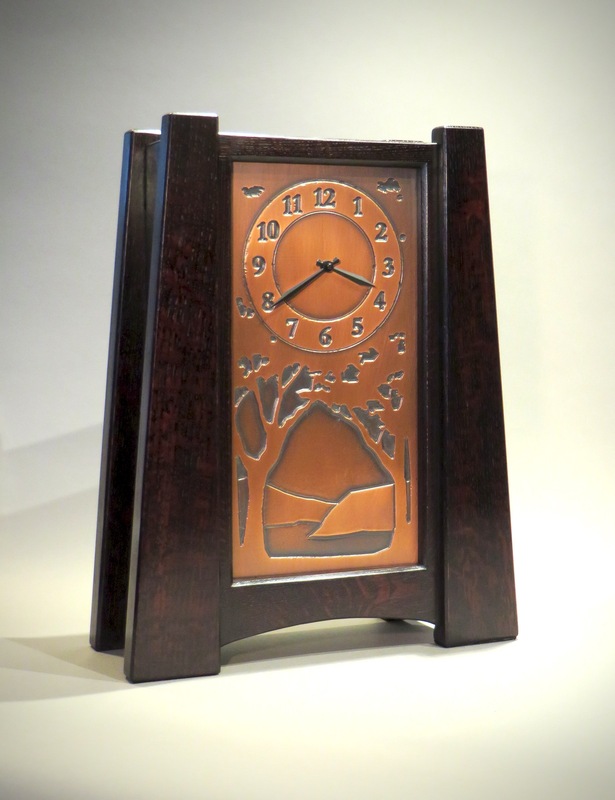 To see more of James’s work visit his website at James Mattson Coppercraft. 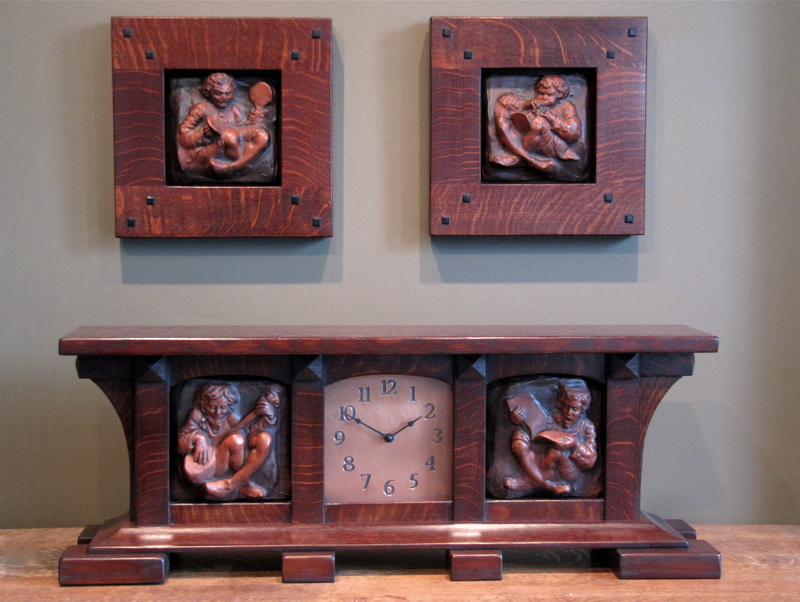 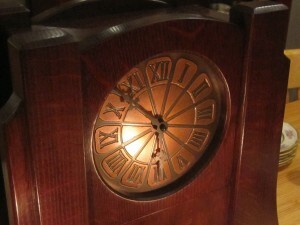 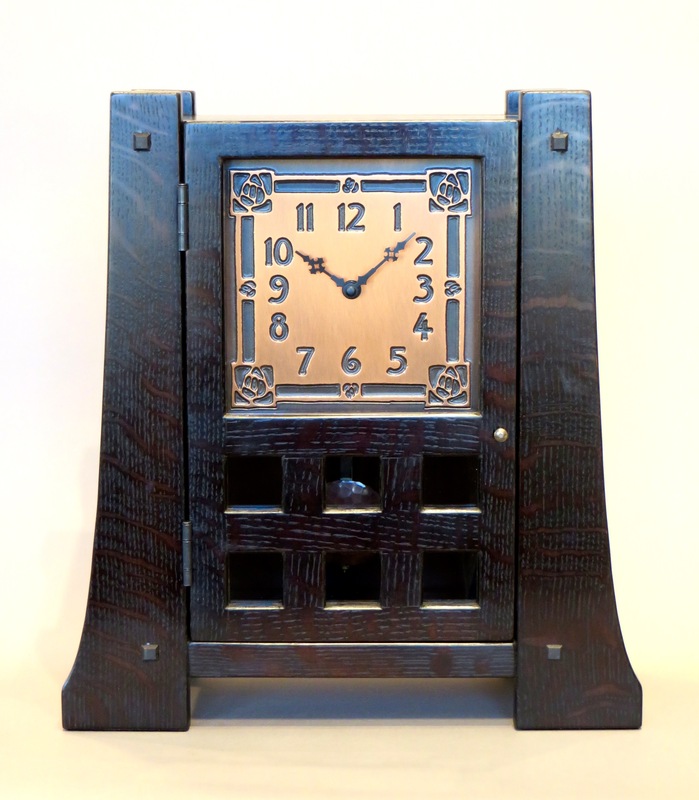 Additionally, for clocks with copper faces and pendulums, I work with James Davies of Craftsman Copper. 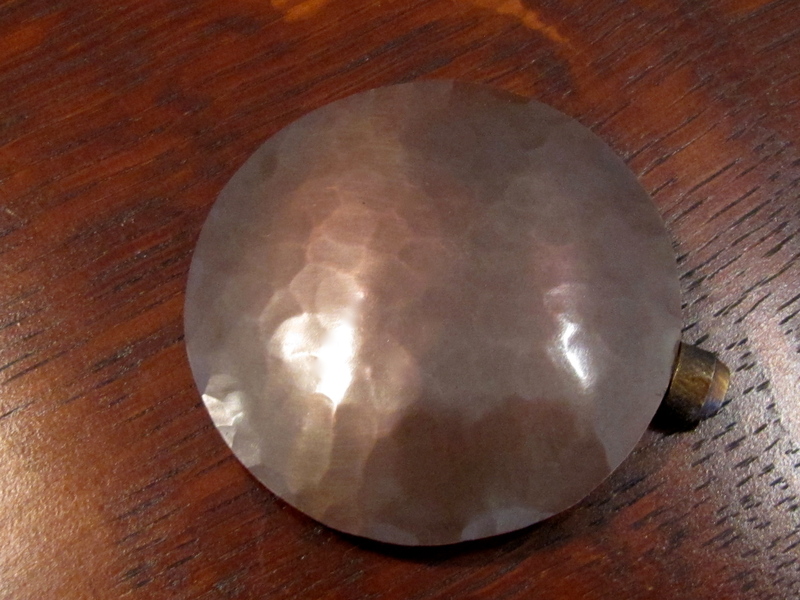 He has made several hammered copper pendulum bobs for me.